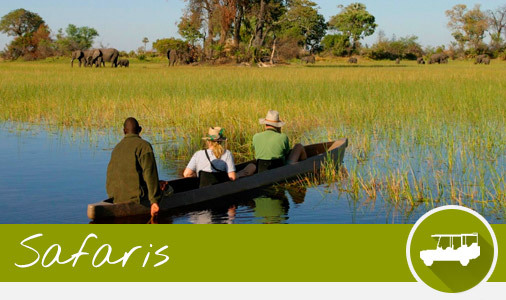 During this 9-day exclusive fly-in safari you will travel to Africa’s well-known and largest inland delta – better known as the Okavango Delta. You will explore this exceptional ecosystem during mokoro trips, bush walks and boat trips. From here it’s on to the Moremi Game Reserve that has long been known for its outstanding game viewing opportunities. 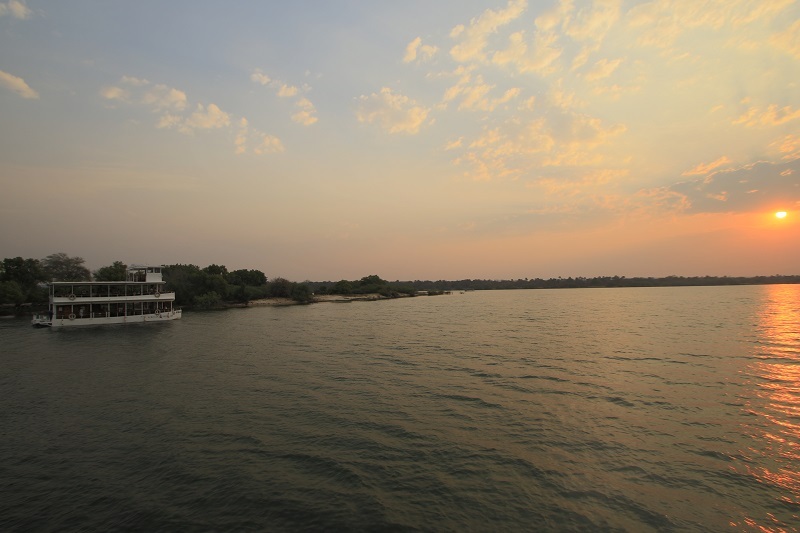 Next on the list is Kasane – gateway to the Chobe National Park. 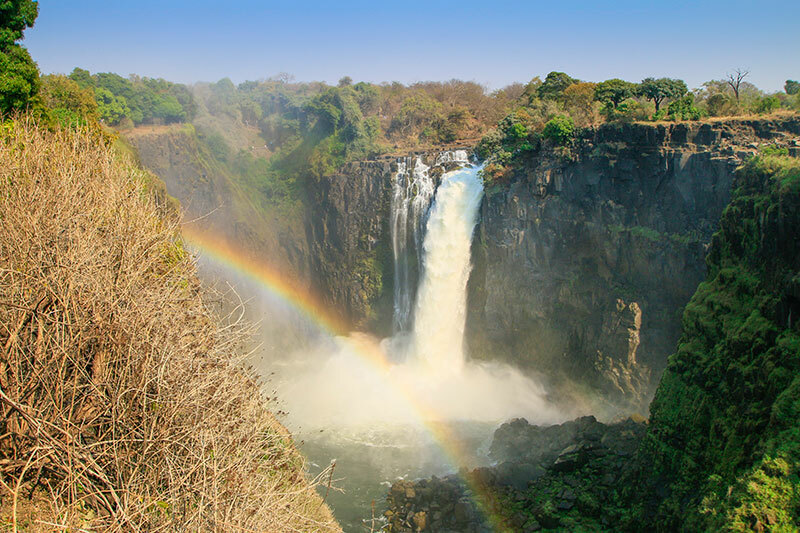 Eventually you will be taken to the Victoria Falls, also known as ‘Mosi oa Tunya’ (smoke that thunders). You will board a light-aircraft and fly from Maun over the Okavango Delta to the Gunn’s Camp which finds itself on Chiefs Island on the border to the Moremi Game Reserve. 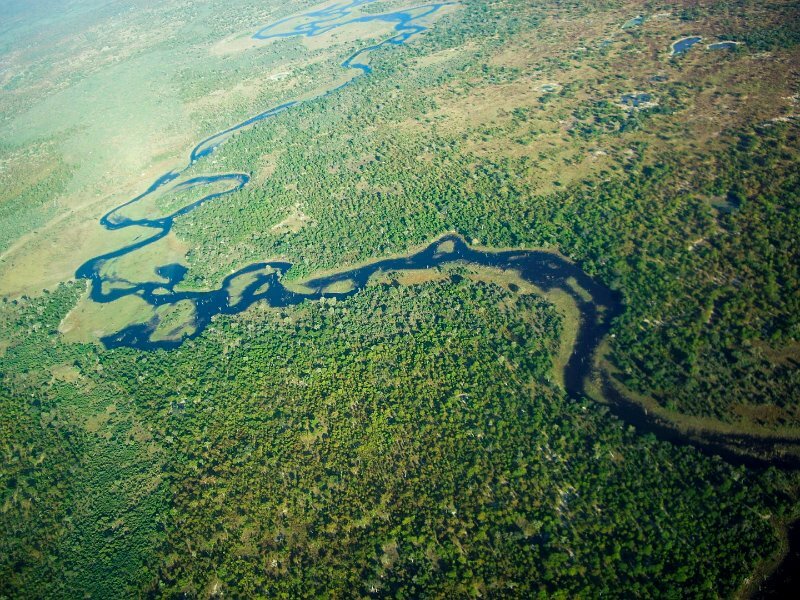 In flight you will enjoy stunning views of Africa’s largest inland delta. Moremi Game Reserve is home to different species of antelopes, elephants, wild dogs and lions. But it is also a haven for numerous bird species. During your stay here, you will explore the delta on mokoro trips and on foot. 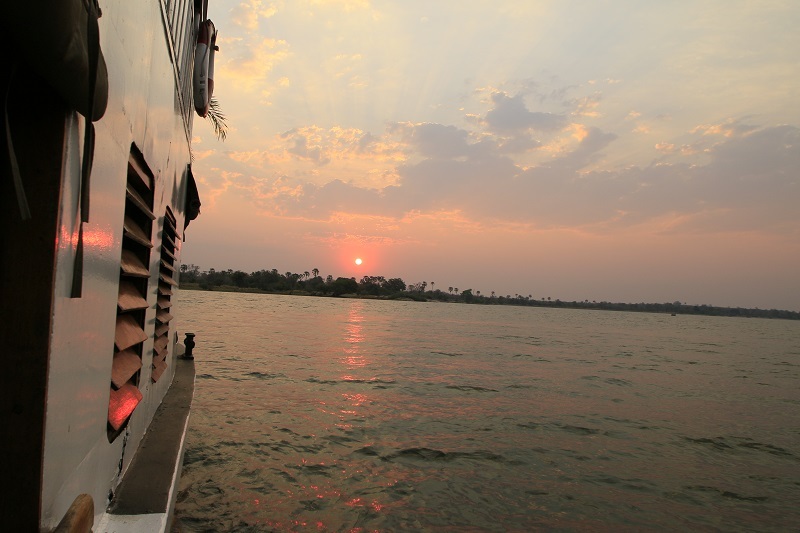 You will also have the opportunity to join a motorboat trip while enjoying the African sun setting over the delta’s waterways. Two nights will be spent in a classical safari-styled meru tent at Gunn’s Camp. If time permits, you will enjoy a morning game drive followed by breakfast. It is then time for a flight from the delta to Khwai, where the next two nights will be spent at the Sango Safari Camp. The camp is located on the banks of the Khwai River in a private concession on the border of the Moremi Game Reserve. 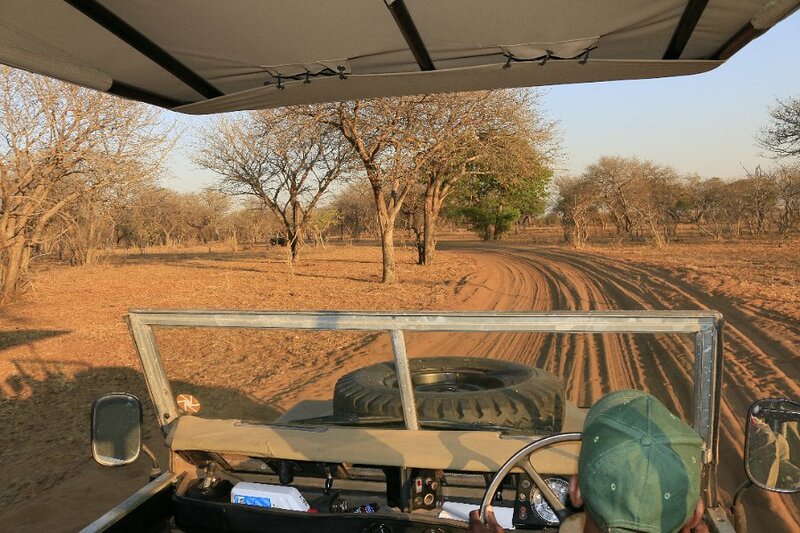 During your stay you will go on game drives in the Moremi Game Reserve while game walks and night game drives will take place in the Khwai Concession. The camp is surrounded by grass-covered plains that are a one of a kind destination for outstanding game viewing. Animals that are often spotted in this region include elephants, buffaloes, zebras, lions, leopards, cheetahs, wild dogs, giraffes, antelopes, hippos, hyenas and numerous nocturnal animals. 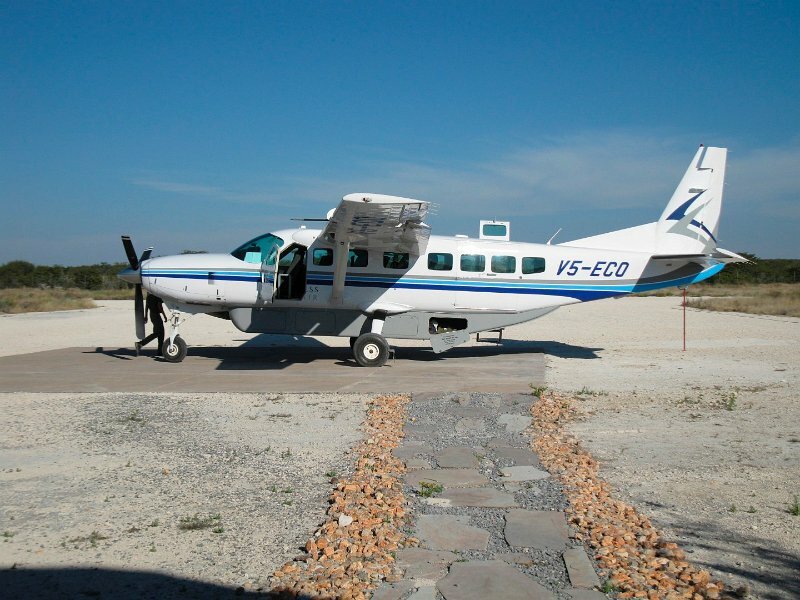 Today’s flight takes you to Kasane where you will be welcomed upon arrival and then transferred to the newly built Chobe Elephant Camp located on the edge of a rocky ridge overlooking the Chobe River. The location and the unique design of the lodge offer an incredible view over the flood plains and is a luxurious hideaway from the rough African conditions. During the next two days you will go on guided game drives in the national park and on boat cruises on the Chobe River in search of wildlife, especially the big elephant herds this area is known for. Two nights will be spent at the Chobe Elephant Camp outside of the park (two game activities daily are included in the price). Enjoy a relaxed breakfast before you are taken across the border to the Ilala Lodge, close to the Victoria Falls on the Zimbabwean side. 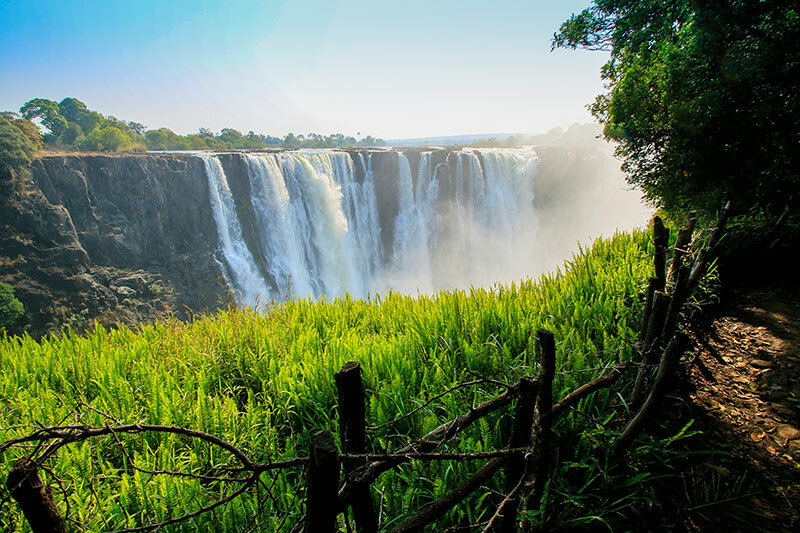 The Victoria Falls are also known as ‘Mosi oa Tunya’ (smoke that thunders) and you will have time to visit this impressive site during your time here. But the town is also well reputed for all the different activities that are available here. 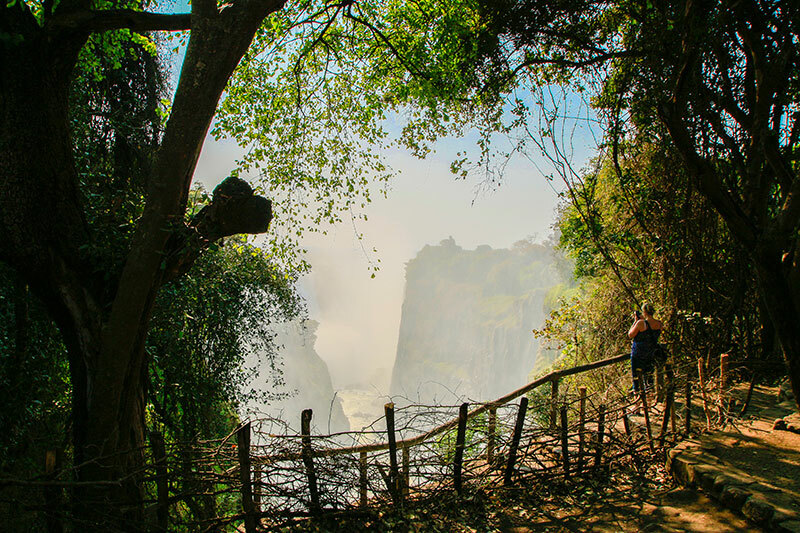 In addition to visiting the falls, you can enjoy a sunset boat cruise on the Zambezi River, go bungee jumping from Africa’s highest bridge or fly over the falls in a micro-light plane or helicopter (optional activities, not included in the price). Today your memorable fly-in safari draws to a close and you will be taken to Victoria Falls Airport for your flight back home.